About a month ago my daughter and I met up with my mom – la abuelita – who flew from El Salvador to meet up with us to travel around Florida for some work and leisure. I really needed a helping hand since I had two conferences to attend in Florida within 10 days of each other and figured it would ease the craziness of my travel schedule is I just brought my daughter with me and we made it a trip for her to bond with abuelita. Part of the trip was to visit my aunt (my mother´s sister) who lives in Tampa with her boys and husband. During our short stay there, we wanted to celebrate my cousin´s 16th birthday, but it had to be simple, yet very special. I mentioned that I´ve always wanted to learn how to make the decadent Cardenal (also known as Pavlova) cake my mom used to make or buy for most holidays and celebrations. I thought it was a Salvadoran tradition, but I found out it´s just my mom´s favorite pastel and she loves finding any excuse to have one! Well, this was a perfect excuse, but we just didn´t have the time to make one before the birthday dinner. So, inspired by the conversations we´d been having about my Cool Whip ad (they´re so proud and had gone out to buy copies of every magazine it was in! ), we realized we could make our own, super easy, no-bake, 3-ingredients only Cardenal and all it would take would be a quick trip to the supermarket! A regular Cardenal is a bit complicated to make because of the consistency required for the meringue which should be crunchy outside, but chewy inside. We decided ours would be super crunchy, creamy, delicious and oh-such-a-treat! Select a round cake dish and start out by spooning the Cool Whip all over the dish to create a smooth base to start layering. Place the meringue cookies one after the other so they completely cover the dish´s surface. Add a layer of Cool Whip over the meringue cookies. Follow with a layer of sliced strawberries. 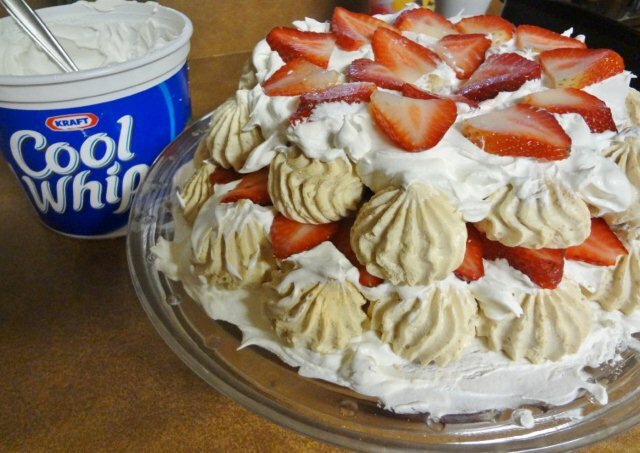 Repeat the steps above one more time and end with a layer of strawberries and a dollop of Cool Whip. Place in the refrigerator for about an hour just to let the layers set in. What you´ll end up with is a delicious, sweet and unique treat you can put together in no time to make any occasion extra special! Disclosure: I am working in partnership with the COOL WHIP brand and I am receiving compensation for my participation in this campaign. All thoughts/opinions, stories and this recipe are 100% my own. Glad you liked it! It’s definitely a sweet treat! Que deli!! This reminds me of the Merengon I used to buy out of the trunks of cars in the countryside of Bogota! I LOVE it! We’ll have to try your receta! Gracias! Oh, I love the name Merengón…a huge merengue? LOL! 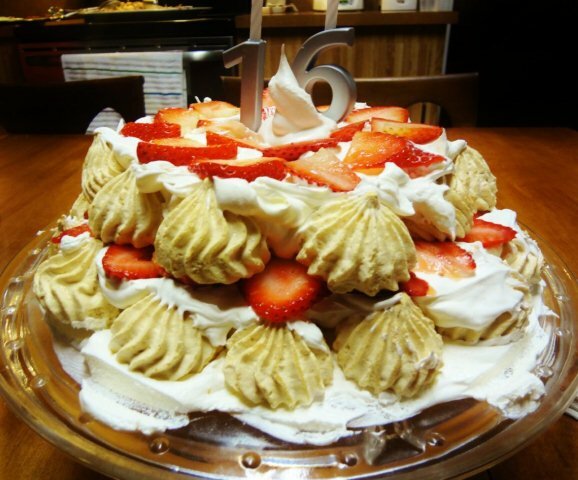 Thanks for finally talking about > Easy No-Bake Pavlova/Cardenal Cake Recipe |SpanglishBaby™ < Liked it! this sector don’t understad this. You should proceed your writing.